On April 3, 2017, the New York State Board of Regents (BOR) approved a protocol for Emergent Multilingual Learners developed to guide and support state-funded Prekindergarten programs in implementing best practices relative to the role of the home language. At the April meeting, staff was directed to utilize the Emergent Multilingual Learners (EMLLs) Language Profile for Prekindergarten Students as part of an EMLL Profile Process to identify when a prekindergarten student’s home or primary language is other than English. The Language Profile is available in 24 languages which can be downloaded by clicking on the link above. The Language Profile gathers information about all students in Prekindergarten, and identifies the existing language(s) and linguistic experiences of young students and is part of an integral protocol that will assist educators in providing instructional services that best meet the needs of EMLLs. Students identified by the EMLL Language Profile are entitled to a combination of supports and instruction in their home language(s) while learning English. In addition, this protocol will assist the Department in maintaining accurate counts of EMLLs in Prekindergarten programs. All information gathered by this Protocol should be shared with Kindergarten teachers to ensure that there is an effective and successful transition from Prekindergarten to Kindergarten. Following are quick links to the EMLL Profile translated into the most commonly requested languages: EMLL Profile Spanish, EMLL Profile Chinese, and EMLL Profile Arabic. For other translations, please click on the blue box below. Should the Board of Regents direct staff to utilize an “Emergent Multilingual Learners Language Profile for Prekindergarten Students” as part of a process to identify when a prekindergarten student’s home or primary language is other than English? The term “English Language Learner” (ELL) in New York State (NYS) refers to students in grades Kindergarten through 12th grade who are identified pursuant to the ELL identification process set forth in Commissioner’s Regulations (CR) Part 154-2.3(a). CR Part 151 Universal Prekindergarten (UPK) Regulations do not mandate a process for identifying ELLs in Prekindergarten. 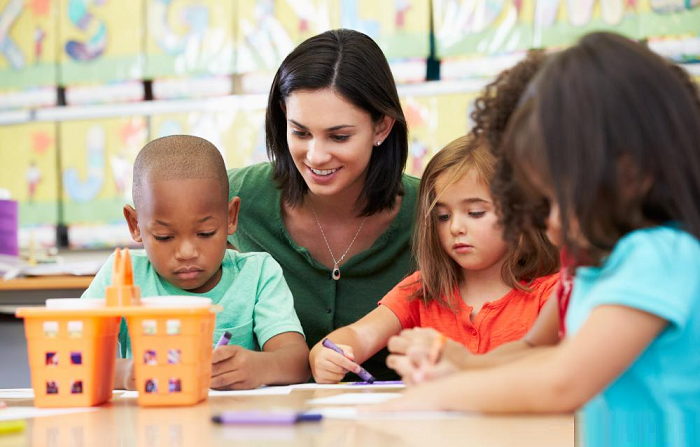 The New York State Education Department’s (NYSED) Prekindergarten Quality Assurance Protocol requires Prekindergarten programs to support all young learners with fidelity and communicate with their families in their home language. CR Part 117.1-3 establishes standards for the screening of every new entrant into NYS schools to determine which students are possibly gifted, have or are suspected of having a disability in accordance with subdivision (6) of section 3208 of the Education Law, and/or possibly are “limited English proficient” in accordance with subdivision 2-a of section 3204 of the Education Law. In October of 2014, NYSED’s Office of Bilingual Education and World Languages (OBEWL) and the Office of Early Learning (OEL) presented a discussion item to the Board of Regents (BOR) on the formulation of protocols and procedures to meet the language and literacy needs of all young children. A panel presentation took place to discuss the importance of including the need for bilingual programs and services in Prekindergarten programs. In addition, the panel presented ways to effectively assess the needs of ELLs in Prekindergarten (or rather, Prekindergarten students likely to be identified as ELLs the following year upon entering Kindergarten), issues of equitable access, and the importance of providing necessary and appropriate supports and services to students and families. The BOR directed staff to draft and develop protocols and procedures to reflect the needs of emerging bilingual children in Prekindergarten programs, which included items such as an at-home questionnaire, professional development curricula for Prekindergarten administrators and teachers, and the creation of resources for families. According to NYSED 2016 data, of the approximately 2.6 million public school students in NYS, over 245,000 (8.8%) are ELLs. Currently, NYSED mandates use of the New York State Identification Test of English Language Learners (NYSITELL) to identify ELLs beginning in Kindergarten. In 2016, approximately 29,425 (12.3%) of all ELLs were in Kindergarten. Among these students, 16,688 (56.71%) listed Spanish as their home or primary language. Another 3,655 (12.42%) listed Chinese as their home or primary language, and other languages listed as the home or primary language of a significant number of Kindergarten ELLs include Arabic (1,175, or 3.99%), Bengali (840, or 2.85%), Russian (696, or 2.37%) and Urdu (576, or 1.96%). CR Part 151 Universal Prekindergarten (UPK) Regulations neither mandate a process for identifying students as ELLs in Prekindergarten nor mandate ELL services. School districts with State-funded Prekindergarten programs must report to NYSED if they have a process in place for identifying Prekindergarten students who speak a language other than English. In 2015-16 approximately 18% (86 out of 478) of NYS school districts with State-funded Prekindergarten self-reported that they do not have a process to identify Prekindergarten students who speak a language other than English. Those districts which did have an identification process (392 out of 478 or 82%) selfreported an approximate total of 29,802 Prekindergarten students statewide who speak a language other than English. These students made up approximately 25% of the total Prekindergarten population of 120,069 students. Among these ELL students, 23,538 (79%) were reported by the New York City Department of Education and 6,264 (21%) were reported by rest of State. While we have witnessed the expansion of Prekindergarten programs and the rise in population of ELLs in Kindergarten through grade 12, the need to support such students starting in early care and education has also risen. As stated in The Blueprint for English Language Learner Success and as part of the Department’s mission, the Department supports the design of optimal learning environments that value linguistically diverse children who enter as early as Prekindergarten. In 2014, the Department established the Committee on Bilingual Education in Prekindergarten Programs (the Committee), which is comprised of educators and advocates who believe in the importance of promoting receptive and productive oral and literacy development in young learners, as well as in the advantages of multilingualism. The Committee supports the design of optimal learning environments which value linguistically diverse children and their families, and the creation of high-quality Prekindergarten programs that strengthen the language and literacy skills of all students and lead to narrowing academic achievement gaps. The Committee also works to support development of a highly effective workforce, and to equip educators with classroom tools and professional training to meet the needs of multilingual children in Prekindergarten. In order to incorporate academically and linguistically relevant instruction into Prekindergarten curricula and programs, it is critical for educators to recognize the experiences that young children have with diverse languages, and use this information to inform instruction and programming in Prekindergarten and beyond. The Department has developed an Emergent Multilingual Learners Language Profile For Prekindergarten Students (see Attachment 1) to identify students who speak a language other than English. The Department recommends use of the term “Emergent Multilingual Learners (EMLLs)” to refer to Prekindergarten students identified by this Language Profile. The Language Profile gathers information about all students in Prekindergarten, and identifies the existing language(s) and linguistic experiences of young students, rather than quantifying the level of English proficiency (unlike identification assessments like the NYSITELL, which do quantify students’ level of English proficiency). This information will assist educators in providing services that best meet the needs of EMLLs.